Tomb of Khonsuemheb, northern part of the transverse hall - statues of the tomb owner, his wife Mutemheb and her daughter Isetkha. 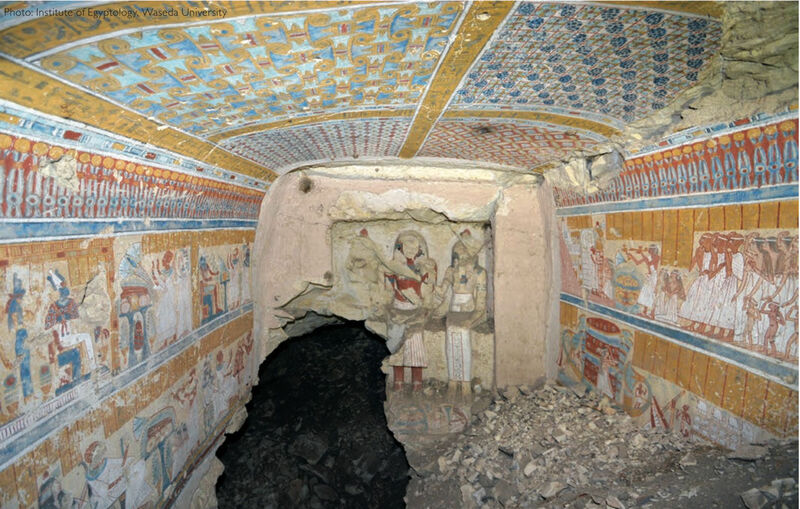 A Japanese expedition from the Institute of Egyptology at Waseda University, Tokyo has been working in the el-Khokha area in the Theban Necropolis since 2007 under the direction of Prof. Jiro Kondo. 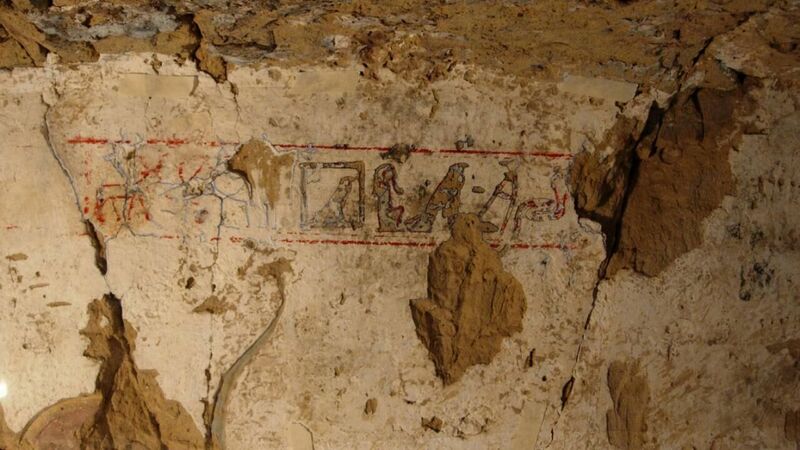 The team has rediscovered the tomb of Userhat (TT 47), Overseer of the King’s Private Apartment under Amenhotep III, and found the previously unknown tomb of Khonsuemheb, dating to the Ramesside period. 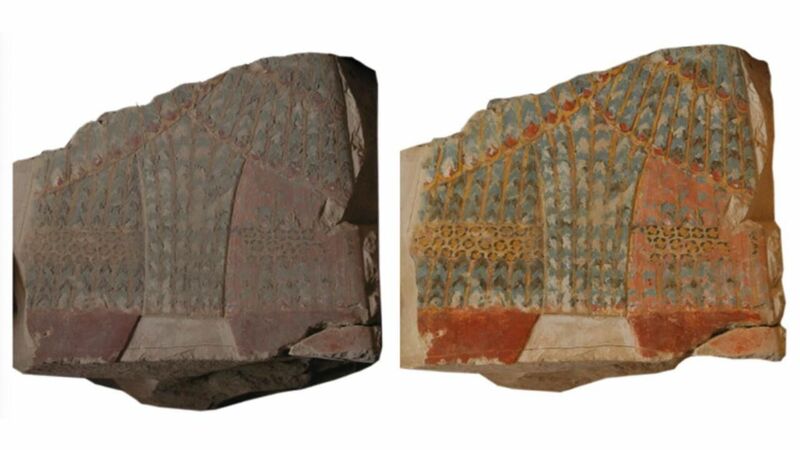 Two years later, in 2011, we rediscovered the rear wall of the transverse hall… The scene shows Userhat making offerings to Amenhotep III and Queen Tiye under a kiosk, the queen clearly identifiable by the remains of the tall twin feathers of her distinctive diadem. 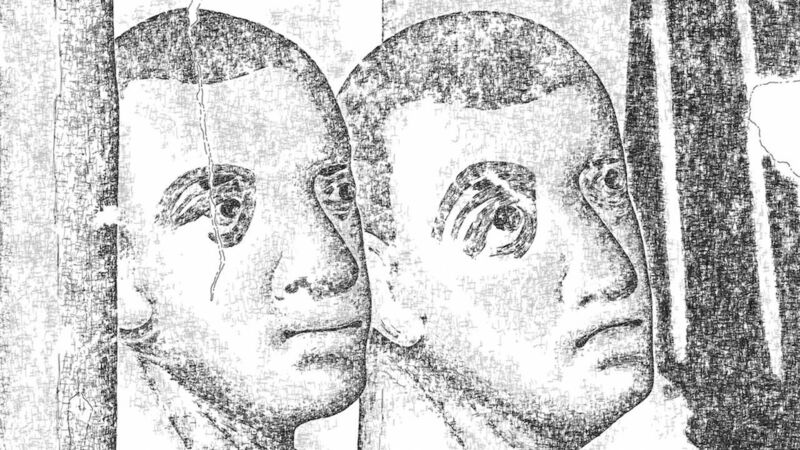 Amenhotep’s head is missing. 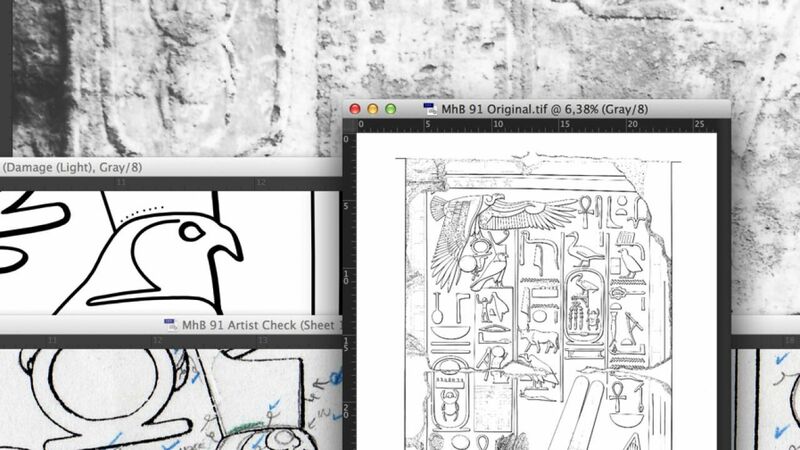 In front of the kiosk are columns of hieroglyphic text. We also found a dyad of Userhat and his wife hewn on the southern side of the inner chamber behind the transverse hall. Line drawings; method not specified by the authors. Lintel of the tomb of Userhat (TT 47), ‘Overseer of the King’s Private Apartment’. 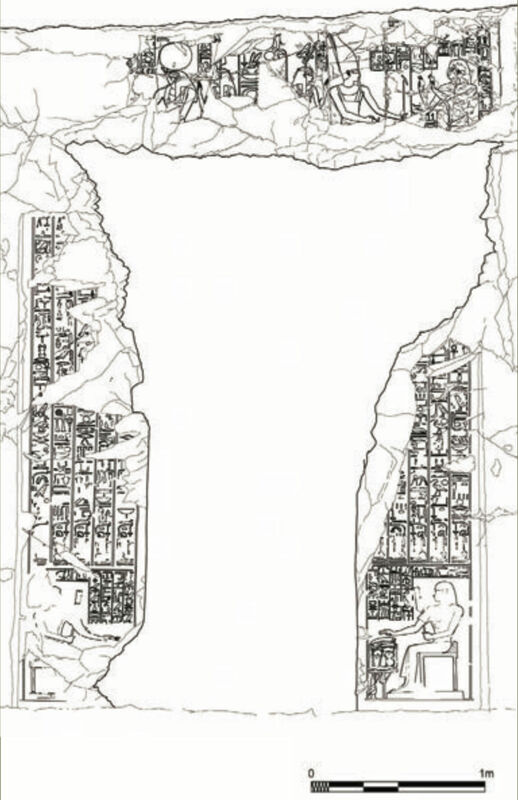 Line drawing of the lintel from TT 47. 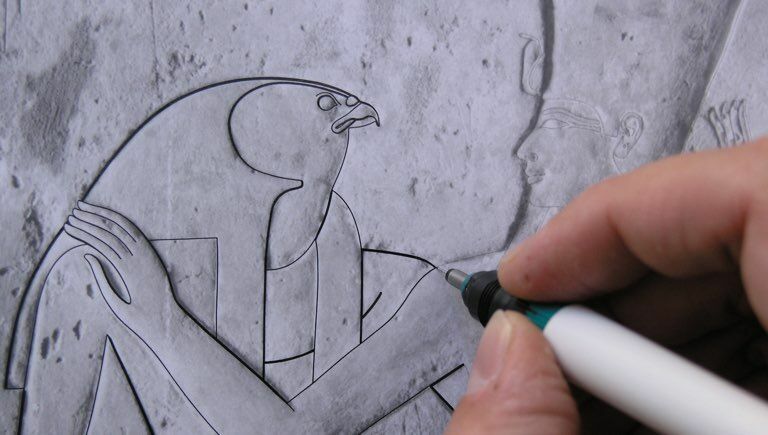 Clean, single weight outlines represent smaller carved decorative details, such as textual elements, while more complex (however, inconsistently applied) sun-shadow differentiation is used to emphasize larger figures. Light-grey single-weight outlines are intended to represent not just major brakes and damage outlines, but to indicate chisel marks as well. 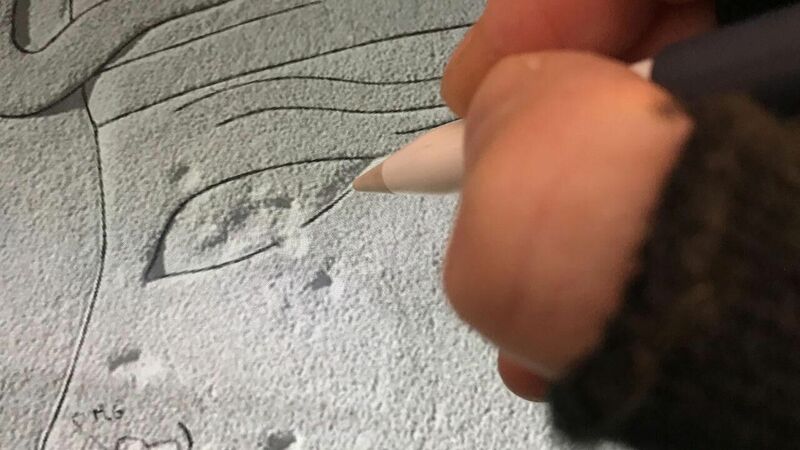 As a result, this “maze” of lightly toned pen strokes faithfully replicates the nature of the limestone structure itself. 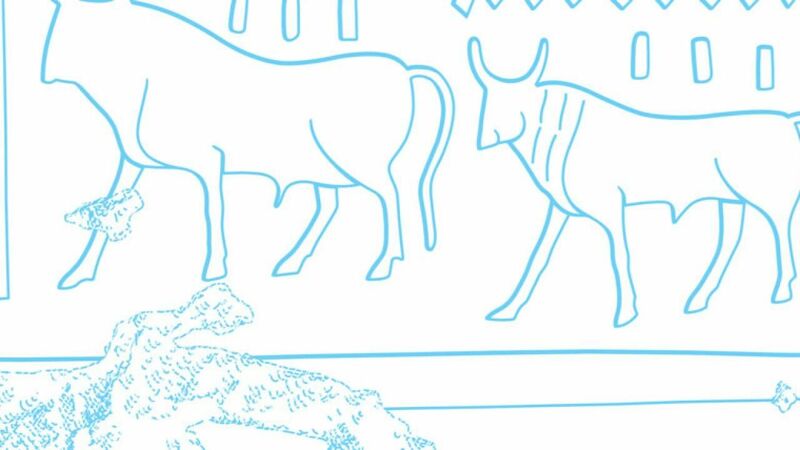 Jiro Kondo and Nozumo Kawai – Discovered, lost, rediscovered: Userhat and Khonsuemheb, in: Egyptian Archaeology (EA) 50 (2017): 22-26. 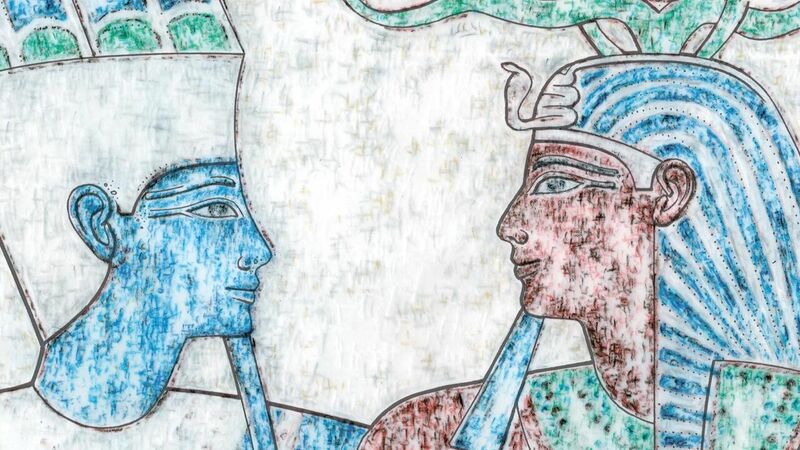 For additional information about the many different projects carried out by the Institute of Egyptology, Waseda University, Tokyo, visit their website.